I was 7 years old and I wanted to cook. Much of the memory of that day has faded. What I do remember is that I made the omelet after I got back from school , while ma stood by me; I was perched on a stool as the stove top was too high and I ended up burning my omelet. But it was an earnest first effort and I ate my very first (partially dark brown with heavy charred flavors) omelet with pride. I never made another omelet again for the longest time and I still hate that smell of browned egg. While I was growing up, the omelet was more like a meal time/lunch box/evening snack item rather than a breakfast. Anyone who has experienced a train trip in India, would easily remember the little stalls flipping innumerable omelets in one huge skillet, quickly and efficiently. These are then sold wrapped in foils at the train windows. Same goes for the street seller. The amazing speed at which they chop the onions and vegetables and make the omelets will beat any world famous chefs. We could have eggs anytime of the day. But I still belong to that stereotype of “eggs for breakfast”, an omelet to be more specific. An idea for a perfect relaxed late breakfast/brunch for me is a good hot omelet, pancakes, loads of fruits, cold orange juice and some strong coffee. And we do this kind of elaborate breakfast more during our vacations than at home. Waking up with nothing much planned for the day, amidst the sweet smelling soft white sheets and enjoying a big brunch is very different. Could you resist a daintily served made to order breakfast tray? Enjoying an omelet does not have to be limited to only breakfast time. 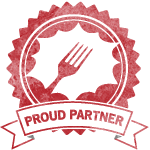 They make really delicious and quick meals any time of the day. This post is hatched and cooked out of a conversation on Twitter during dinner time. Jaya mentioned omelets for dinner. Manisha, Shulie and me joined in and started discussing the variations and how each one of us make it. Finally Manisha and me decided after Jaya to have omelets for for dinner that night. Unfortunately I had to make other dinner plans when I realized I had only one egg, and I needed that for my daughter’s lunch box. Aqua Daze joined in with us (via FB) and we all agreed to do a Desi/Indian Omelet post. Update: Shulie joined it too! 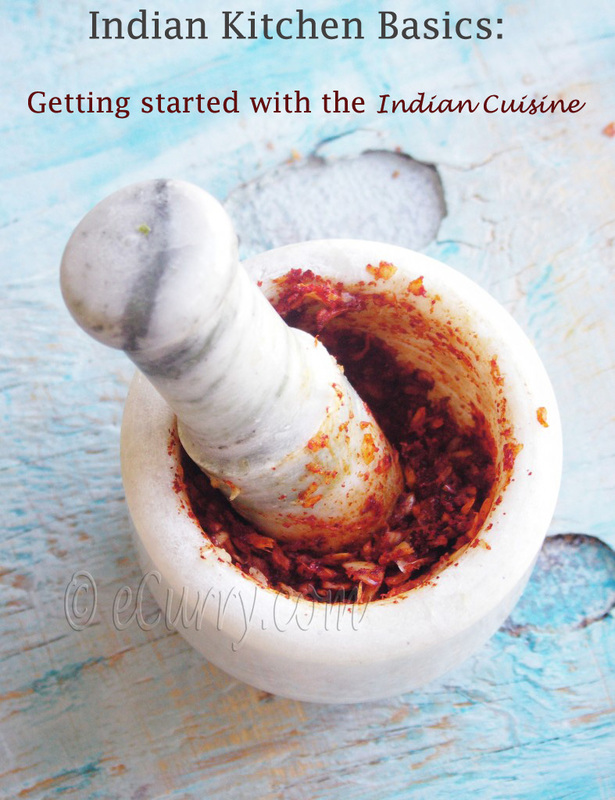 As with any other Indian recipes, this one has regional variations, and of course the ingredients that go in there is all dependent on personal taste. The recipe here today is exactly how we make it at home. You are free to use any kind of other vegetables/fruits/herbs, cheese, sausage, ham or anything else you would like in yours. 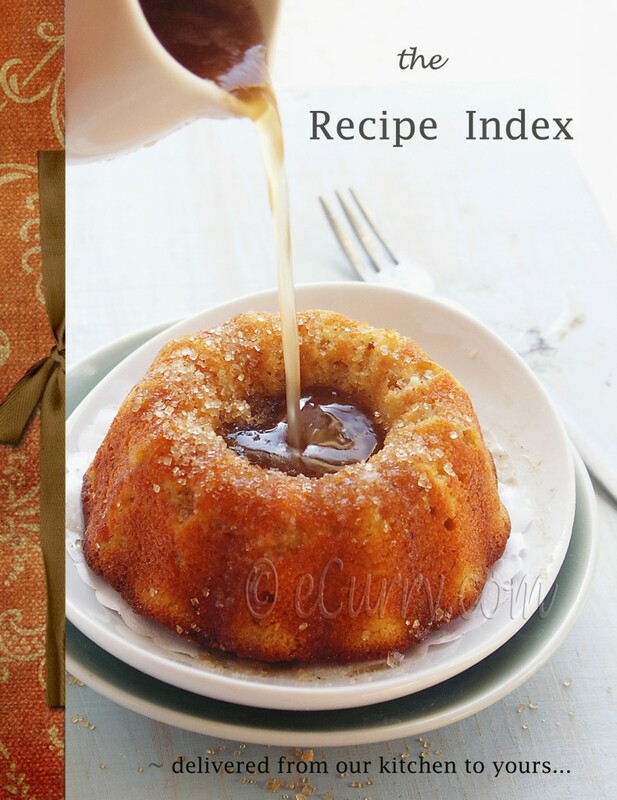 There are no exact amounts in this recipe. Use whatever and however much you want; just keep in mind if the vegetables are too much, compared to the eggs, the omelet will not be able to hold up the weight of the vegetables (since the vegetables are cooked with the eggs and not rolled in it after cooking) and will break. 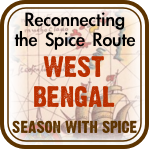 In West Bengal, the omelet is often cooked with mustard oil and it does impart a fantastic flavor. If you want to use cheese, shred the cheese and spread it over the top of the omelet when underside is done cooking. Then fold over the omelet into to half or in third (from both sides), and allow the cheese to cook and melt in the heat. a well seasoned pan, pref. cast iron with lid. You might need upto 3 tablespoon oil/butter if the pan is not well seasoned. Combine all onion, ginger, tomato, green chili pepper, cilantro, salt, pepper, red chili powder with the eggs and the milk in a tall glass or mug. Whisk/beat the mixture until it foams a little and is pale yellow. Lightly heat the melted butter/oil in pan and tip in the foamy egg mixture. Cook over low heat for a minute, life the edges gently and allow the liquid to seep in there and then cover and cook at low heat until the egg is firm and puffed. Gently loosen the edges with the spatula and then gently flip it over with a broad spatula and lightly cook the other side. Make sure to cook at low heat so that none of the sides turn brown or crisp. The omelet should have a deep yellowish color. I love mine with a lot of freshly ground black pepper. The hubby likes it with Sriracha. Have it your way. This is mt favourite omelette. I remember we were just married and we were in Mumbai and for breakfast I ordered masala omelet and Hans ordered cheese omelet you can see from that how different we were brought up 🙂 but then with all the difference we have lasted 20 years. Love this anytime..looks perefct and yummy…lovely shots as always! That omelet is splendid and it looks really tasty! Mouthwatering brunch soma..m I invited?….my fav…ur stunning makes the dish more tempting..
Omelette looks mouthwatering and fulfilling. Kudos for your preparation. So inviting! I still have to make an omelet with ginger in it. So glad you were able to post despite your hectic schedule! yay! Two posted, two to go. Love the omelet memories of your childhood Soma. I don’t think I can remember my first omelet. I too make it pretty much the same except I also add cumin seeds to it. The ginger, I forget to add most of the time but when I do, it adds that extra touch that is uniquely desi. While I’m biased and think my boyfriend makes the best omelet ever, this looks delicious. 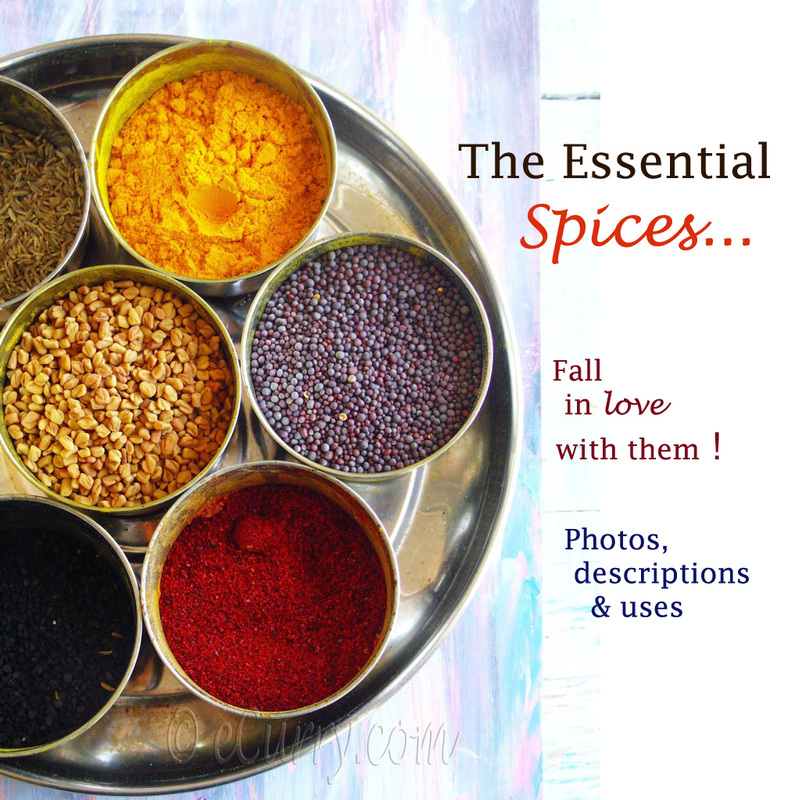 I love all the spices and herbs in this….mmm ginger and cilantro. 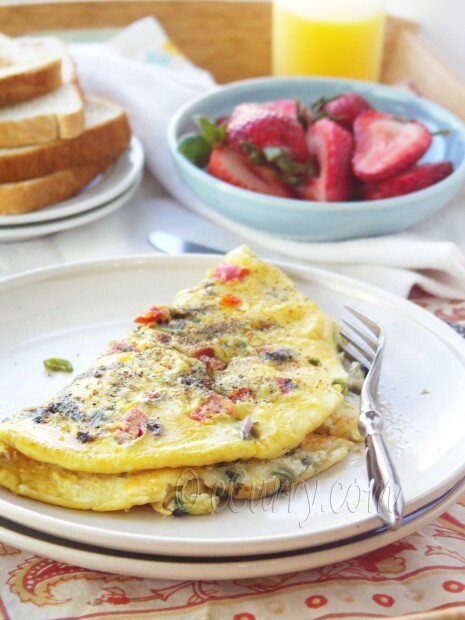 Your omelet would certainly make a wonderful start to any day. Hey you Soma, my partner in crime. This is such an awesome collaboration and thanks to Manisha and you for including me. 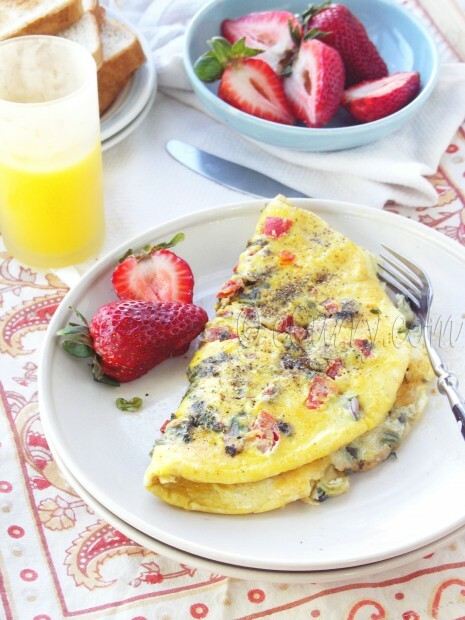 Your omelet looks beautiful and tasty!! Yum! This dish looks so yummy. I’m a big fan of protein packed breakfasts! Looks great, Soma! Much healthier than the omelette I usually make with cheese haha. eggs + omelettes were my very first kitchen forays too 🙂 they’re sitll my go-to meals on many busy nights or mornings. your “grownup” version looks so fragrant! i love the photo of the eggs being whisked. Everytime we travel overnight by train, this is always the breakfast I choose. 🙂 “Masala” omelets have to be among the best in the world. 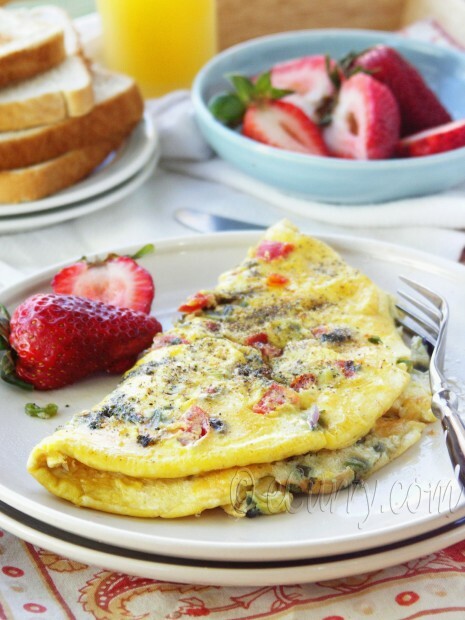 This omelet looks wonderful! Thanks for posting! This sounds like the best omelet ever! 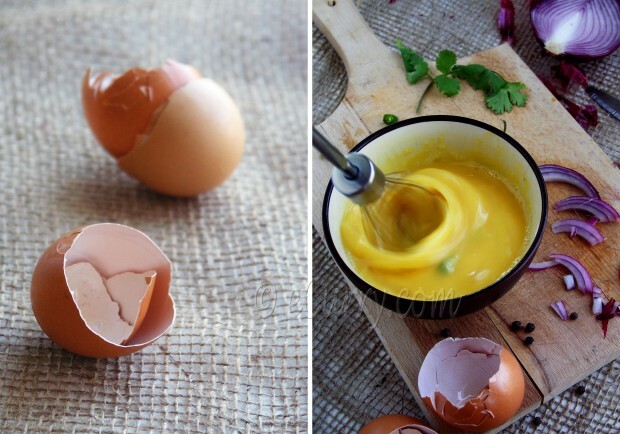 Gorgeous pictures for this delicious omelette! Love the combinations of textures and flavours! looks like the most delicious omelet I have ever seen. Hi I just tried a cheesy variation…added avacado to my omellete…and trust me it was oh so delicious…. Seriously, 3.5 tablespoons of butter or oil? Seriously? Please dont be fooled by this recipe, especially new cooks. This looks good…it’s interesting that ginger is added into the omelet, i never tried that..I guess there’s always time for first tries. Here is another tip. “Flipping” an omelet is easier to say than do. And if it disintegrates it is ruined. The trick I learnt from a chef is first to switch the oven grill on at the same time as starting on the frying pan. Then, when one side of the omelet is done, switch off the hob and simply transfer the whole frying pan into the oven grill and let the other side cook from above. You will also have the lovely sight of the omelet rising beautifully all round. When fully risen, remove. Done! No flipping skill required. 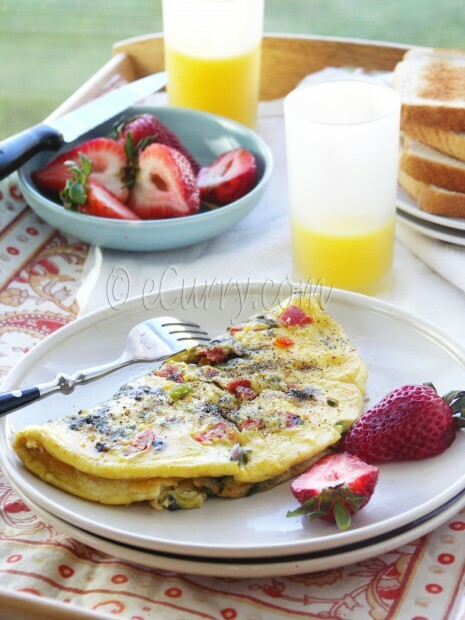 I wonder how many of us have started our cooking journey with the humble omelette! It was my Baba hovering over me while I made my first omelette…he still hovers around while I cook. Precious memories. You have a virus on the indian omllette web page. ive just narrowly escaped it damaging my laptop. Please remove it.